A sharp memory saves time, a quick mind opens doors, and an open mind creates opportunity. Every day you rely on your brain, and Brain Awakening is a natural way to keep it ready. Our formula is a natural blend of herbs and minerals chosen to support the essential cognitive functions you use every day. Lion's mane supports concentration, amla helps protect the brain against free radical damage, Magtein encourages the ability to learn, and all three help memory. FOR YOUR MIND: Learn, remember, adapt. 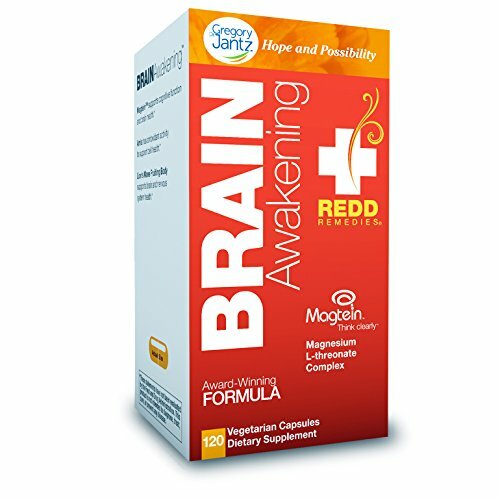 Brain Awakening supports mental clarity and cognitive functions for daily life. REMEMBER, REMEMBER: A good memory saves time, answers questions, and guards against embarrassment. Support yours with lion's mane, Magtein, and amla. LIMITLESS LEARNING: Magtein promotes increased magnesium levels in the brain to enhance your ability to learn. GET YOUR HEALTH IN ORDER: Redd means "to put in order" and is a constant reminder of our mission to help bring balance to your health. If you have any questions about this product by Redd Remedies, contact us by completing and submitting the form below. If you are looking for a specif part number, please include it with your message.